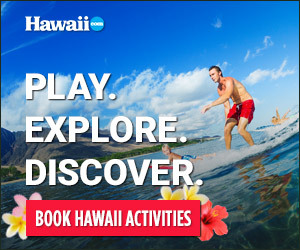 With one of the fastest growing populations in the state, the island of Maui also offers an astounding array of accommodations — including youth hostels, bed & breakfasts and vacation rental homes, world-class resorts and a tremendous number — approximately 9,000 units — of reasonably priced condominiums. The majority of condominiums are concentrated along the six-mile, south Maui stretch of Kihei and along the shores of West Maui’s Honokowai, Kahana and Napili areas, with older condos in Honokowai and Napili tending to be less expensive. Kihei also hosts a few hotels, while several high-end resorts and renovated condominium properties sit just down the road in Wailea. Many of the island’s world-class resorts — including the Hyatt Regency, the Ka‘anapali Beach resorts, Ritz-Carlton Kapalua, Sheraton Maui and others — are concentrated in Ka‘anapali, the island’s sunny, far western shore. This beach resort area is approximately four miles from the historic whaling town of Lahaina, which is today a bustling seaside community of shops, restaurants and galleries. Also the seat of nightlife in West Maui, Lahaina offers only a smattering of condominiums on the outskirts of town, a few historic inns and a half-dozen or so bed & breakfasts. Kahana Beach, located between the resort haven of Ka’anapali and the condo enclave of Napili, is quiet, with nice beaches, amazing surf in the winter months and some vacation rental homes. As one moves farther away from Maui’s sunny south and west shores, lodging choices become few. The business centers of Wailuku and Kahului offer several small hotels under renovation on the waterfront, plusa few bed & breakfasts. But a short drive Upcountry leads to pastoral Makawao and a selection of rental homes and bed & breakfasts. On the eastern side of the island lies the famed town of Hana, a charming, quiet area with several appropriately laid-back hotels, bed & breakfasts and rental homes.